We INSPIRE Change. We DEVELOP People. Our purpose at WinningWise is to help you and your organization achieve more. Quite simply, our focus is on people development—we help organizations transform their cultures, strengthen their leaders, align their teams and engage their talent. 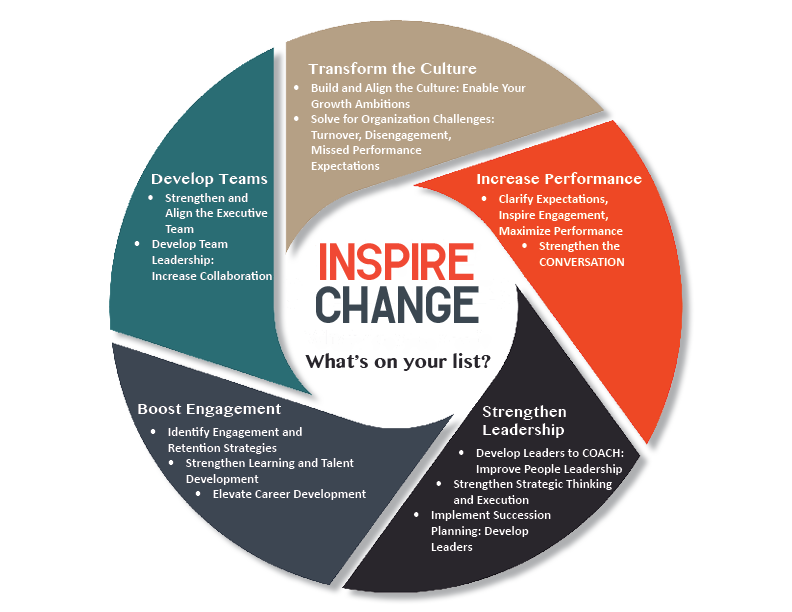 To grow your organization, you need to enhance the performance, engagement and leadership of your employees. By focusing on these three elements, you can meet the needs of the organization AND the individual. Real success is shared. 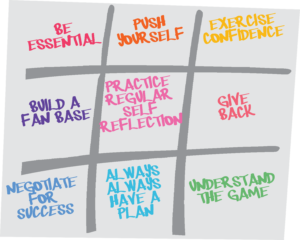 Our Winning Action Strategies (pictured above) form the basis of personal development by which to achieve this goal. Use these strategies to give specific direction to personal change.